When Chuck Norris does pushups, he doesn’t lift himself up. He pushes the world down. Chuck Norris: I’m Chuck Norris and I approve this game. Chuck Norris: What's your game? Chuck Norris is a hunter but a Chuck Norris does not hunt. Hunting would imply the possibility of failure. Chuck Norris goes killing. There are 10 million people in the world of Warcraft because Chuck Norris allows them to live! Chuck Norris didn't break a sweat filming the newest World of Warcraft television spot. Instead, he made the director cry and then cooled himself with the tears. Watch the new WoW commercial now. Chuck Norris makes onions CRY!!! Chuck Norris doesn’t wear a watch； he decides what time it is. Chuck Norris doesn’t breathe； he holds air hostage. Chuck Norris beats the sun in a staring contest. You win some： you lose some. Chuck Norris wins ALL. Chuck Norris is not afraid of death； death is afraid of Chuck Norris. At WBK bank everyone can be like Chuck Norris. W BZ WBK każdy może dostać kredyt gotówkowy przychodząc -- jak Chuck Norris - tylko raz. Każdy klient zostanie potraktowany wyjątkowo, zapewnimy proste procedury i szybką decyzję kredytową. Opuszcza Texas by na 20 minut przylecieć do Polski. Z samolotu wysiada przed lądowaniem. Wykonuje swoje popisowe numery - trzaska obrotowymi drzwiami, ratuje polskie finanse publiczne, wzmacnia polską piłkę .... Nieosiągalne? Chuck Norris nie zna tego słowa. Z jaką jeszcze misją Chuck Norris przyleciał do Polski dowiecie się po obejrzeniu filmu „Misja Chucka w Polsce". Stallone: "I heard another rumor that you were bitten by a King Cobra?" Chuck Norris: "yeah I was, but after 5 days of agonizing pain...the cobra died"
Chuck Norris doesn't visit Bulgaria, Bulgaria visits Chuck Norris. It is true that only Chuck Norris can cure cancer with his tears. Luckily Phil Neville is the only one who can make him cry. 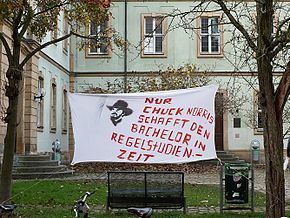 Chuck Norris kann alles. Hans Sarpei kann mehr. Chuck Norris trägt einen Hans Sarpei Schlafanzug. Chuck Norris guckt nachts unter sein Bett, ob Hans Sarpei drunter liegt. La próxima vez traeré las zapatillas de fútbol o pediré ayuda a Chuck Norris. TIME magazine interviewed Chuck Norris, him an "online cult hero."